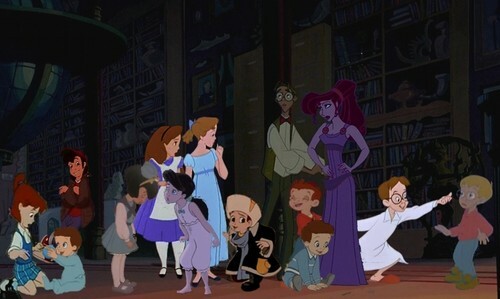 Disney Crossover Family. A friend of mine asked me to do a family with 12 children XD . HD Wallpaper and background images in the disney crossover club tagged: disney family crossover. This disney crossover photo might contain concert and business suit.